Will My Bankruptcy Take Care Of A Deficiency I Owe From A Repossessed Car? Yes, it will. The deficiency that results from the sale of a repossessed car or truck (or motorcycle, or boat, or any other form of transportation that was repossessed) is considered to be “unsecured” debt. Unsecured debts (or that portion of the debt that is described as unsecured) are subject to discharge in a St. Louis bankruptcy. But let’s back up just a bit. When you take out a loan on a car (commonly referred to as “financing an automobile”), you are signing a contract in which you promise to make monthly payments to the creditor in order keep the asset. If you fall behind on the payments, the creditor can come take the asset back (this is why it is called a “repossession“; the creditor is taking back possession of the asset). There is a period of time that must pass before the creditor may resell the car, but once that period of time passes, the car will undoubtedly be sold. What normally results from such a sale, however, is a “deficiency”. This occurs when the sale of the repossessed car brings in an amount that is less than the current balance. So for example, let’s say you owe $10,000 on the balance of the car loan when the automobile is repossessed. But when the car is resold by the creditor, it only sells for $5,000 (the market for repossessed cars is usually a lot cheaper). This would obviously result in a deficiency balance of $5,000. And it is this amount that the creditor can demand from you. If you are unable to pay this amount (either in a bulk payment, or through some sort of repayment plan), the creditor will most likely sue you for the $5,000 deficiency. Once they receive a judgment in their favor, the creditor can then move to garnish your wages, freeze your bank account, or placed a lien against your house. But keep in mind that this deficiency balance of $5,000 is now categorized as unsecured debt. This means that if you file a St. Louis Chapter 7 bankruptcy, this debt will be discharged (along with your other unsecured debts, such as any credit cards, medical bills, payday loans, etc). When debts are discharged, they are eliminated completely and forever. Or if you file a St. Louis Chapter 13 bankruptcy, the deficiency is still listed as unsecured, but there is a chance that some of it might have to be paid back (exactly how much depends greatly upon what your household income is at the time of filing). Either way, it is very important to know what you rights and options are in the world of bankruptcy. 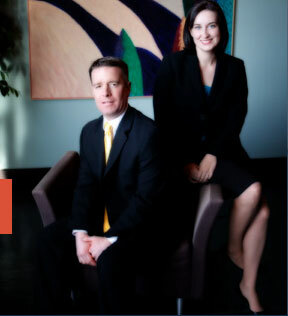 The affordable St. Louis bankruptcy lawyers at Brinkman & Alter, LLC have been helping people get rid of their debts for over ten (10) years. Our goal is to make sure you understand how the process works, that all of your questions are answered, and that you are put on the road back to financial health and stability. We have two locations: in the Central West End, at 1 North Taylor, St. Louis, MO 63108; and in the Twin Cities of Festus / Crystal City, at 1000 Truman Blvd (Highway 61/67). The initial consultation is free of charge. Call today to learn more! !